Yep. I got a set of cards. I was very surprised to see them in my set. Got my 2 sets of replacement head and corrected hat yesterday! Really wasn't expecting the hat. That's awesome they replaced them!! Thanks club!!!! 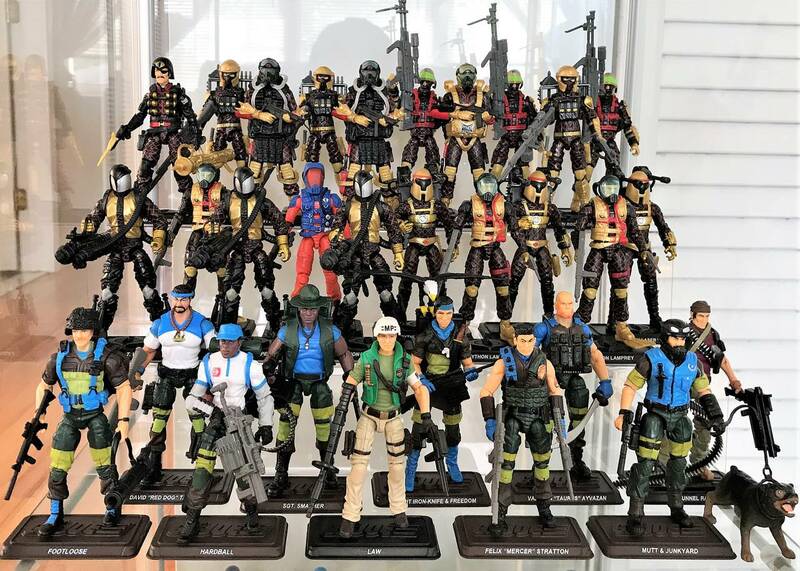 Nice shot of the Con figures Mr Hebime!! They look great! Awesome shot. All I'm missing is the Para-Viper Officer. Just think how more awesome it will look with SM BBQ and Low Light in Dec. Not to mention the other Sonic Fighters.